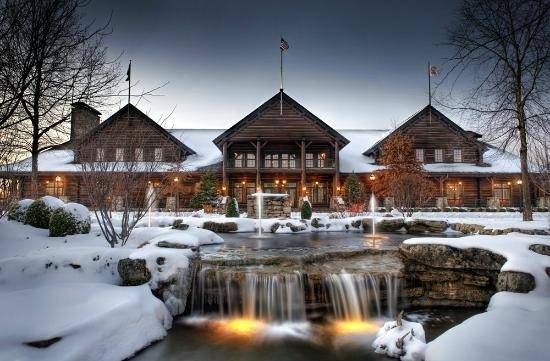 The College of the Ozarks is a great attraction in Branson which offers no tuition fee for all full-time students. The college features a variety of attractions and offer unique experiences to anyone visiting this fascinating place. Located near the heart of Branson, Missouri, College of the Ozarks warmly welcomes all visitors who want to enjoy a day of fun in this beautiful campus. The college campus is a great point of interest to tour during your vacation in Branson. Here you can pick up some handmade crafts, great items at the Welcome Center or delicious snack at Fruitcake and Jelly Kitchen. College of the Ozarks has been voted in several surveys as one of the top liberal arts colleges in the Midwest conducted by U.S. News and World Report for the past ten years. The school was also recognized by The Wall Street Journal as one of the most honoring names as it seeks to achieve: Hard Work U. The college is known for hard work because students must work part-time during the school year in several campus jobs that could range from working in the restaurant to writing for the school newspaper. The school hopes to develop young men and women who are prepared to enter into the rest of their lives by way of learning through vocational, academic, spiritual, patriotic and cultural experiences. The school is not just a great educational hub, but it is also a place that offers several great attractions within the campus. Some of these attractions include The Williams Memorial Chapel and Hyer Bell Tower, Ralph Foster Museum, and Keeter Center. Williams Memorial Chapel is an outstanding example of neo-Gothic architecture. The structure measures 150 feet long and 80 feet wide, with impressive stained glass windows. Attached to the chapel is the Hyer Bell Tower. Both structures have stood as the center pieces of the historical side of the college since 1958. Ralph Foster Museum is another fascinating place dedicated to the history of the Ozarks region. Named in honor of the late Ralph D. Foster, the museum houses thousands of artifacts that represent antiques, firearms, fine arts, history, geology and mineralogy. The Keeter Center was once a rustic Maine lodge displayed at the 1904 World’s Fair in St. Louis. When it was relocated to the School of the Ozarks, where it stood until 1930, that lodge has been re-designed after more than a hundred years. The Keeter Center now has thirty beautifully decorated suites, some with fireplaces and balconies overlooking the picturesque college campus. The center has auditorium with teleconferencing facilities and conference rooms that can accommodate up to 30 people. You will also find Dobyns Dining Room inside the center that serves fantastic meals. With nearly 100,000 square feet of space, the center is the perfect venue for any event. So, if you want to enjoy a day of fun through a fascinating attraction in Branson, don’t miss to visit the College of the Ozarks.